PUSHPA (Project for Upgradation of Skilled Handicrafts and Perishing Art Forms) a Non-Profit Organisation spearheaded by Mr. Vivek Varun Prasad, organised an exhibition of handicrafts made by artisans from various places in rural India at the Campion School Cooperage from 17th to 19th of February 2018. The exhibition was a platform for artisans in rural India to showcase their handicrafts, which have been their speciality handed down by their forefathers and are now rapidly becoming a dying art form. 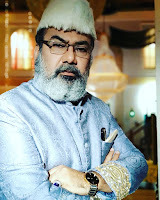 The whole concept of revival of such dying art-forms was conceived by Mr. Vivek Varun Prasad, whose childhood passion is traditional art in the form paintings or handicrafts. He is deeply pained to see that in the industrialised world of today, these art forms are on the verge of becoming extinct. Hence their revival and preservation are of great importance to as they are expressions of culture of India. This first exhibition by PUSHPA was a myriad display of exquisite expressions of traditional crafts persons, displaying crafts as close in purity to as they were conceived decades ago by their forefathers. Speaking on the occasion, Mr. Vivek Varun Prasad said “I have had this passion for art since childhood and have won awards for 5 consecutive years in Doon School, Dehradoon. However, the passion had to be kept in the background and was limited to making greeting cards for relatives and friends, in order to give my full attention to my Government job in the Income Tax department. 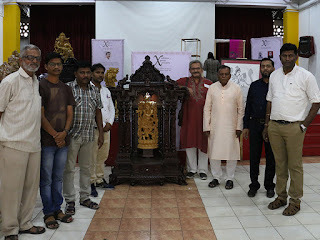 The Exhibition showcased Coconut and bamboo craft, Banarasi weaves and Gujrati patolas, wooden carvings, warli paintings, traditional artificial jewellery designed and made by hand. The exhibition attracted a lot of visitors, who also purchased many of the handicrafts and artisans were given to keep the entire proceeds of the sales. The entire expenditure was borne by the NPO PUSHPA. Encouraged by the success of this exhibition, Mr. Vivek Varun Prasad has decided that he is going to try and hold it again next year in a bigger form with more than double the artisans.